The major update for the game changes several UI elements and adds the cabin, a new dedicated space to decorate and invite animals. The Friends List is completed revamped. Players can now display their favorite photos, and it is much easier to give kudos and lend a hand to those in need. Small icons show is someone needs help in their garden. Until now, gardening events have made sense: plant flowers, attract bugs. For whatever reason, the flowers in the events attract… hats. More specifically, elf hats. The flowers at least make sense, as Jingle is requesting you plant Poinsettia seeds in Jingle’s Holly Jolly Roundup. The first part of the event runs from now until December 10, with the second part beginning on December 3 and ending at the same time. 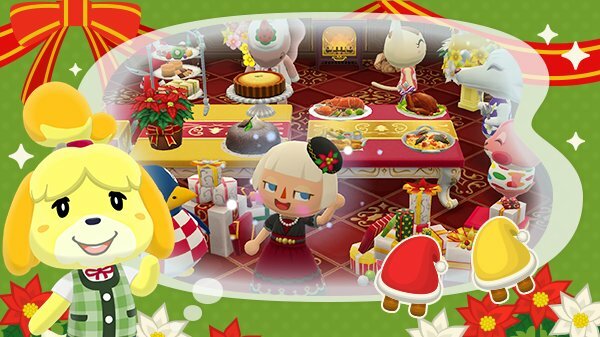 Animal Crossing: Pocket Camp‘s Toy Day Decor event runs until December 26, 2018. 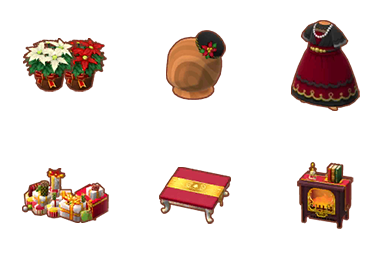 The second part of Jingle’s Holly Jolly Roundup being on December 3, with the garden event running until December 10. Following that will be Gyroidite Scavenger Hunt #6 and Fishing Tourney #9.